In 2000, began her career as a musician at clubs and live music bars. In 2003, flew to New York to receive voice training and dance lessons. 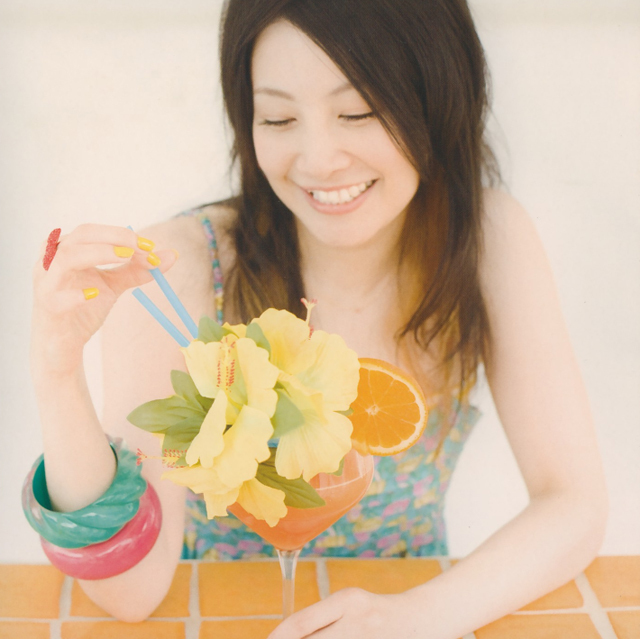 On November 26th, 2004, returned to japan and made her debut with 1st single, “Kimi ga Sora Datta”. In July 2005, released the 2nd single “Silent wing”. In August, released the 3rd single “UNLIMITED FIRE”. Beginning May, has become the main personality for “Sunrise Radio EX。”, which is still on the air. In November, released the 4th single “Futri ga Wasurenai”. Starred in the musical “Galaxy Angel”. In February 2006, released the 5th single “Ashita wo Tomenaide”. In April, released the 6th single “Shoujo Meiro de Tsukamaete”. In August, released the 7th single “Kuchibiru Hakuchumu”. On November 22nd, released her long-awaited greatest hits album “Sincerely”. On December 14th, held her first live concert at Shibuya eggman. In January 2007, released the 8th single “Mou Ai shika Iranai”. In May, released the 9th single “BLOOD QUEEN”. In August, released the 2nd album “feel it”. In October, released the 10th single “disarm dreamer”. Furthermore, in February and May, starred in the live event show, “Lantis presents ‘twilight listening party’”. On September 2nd, held her 2nd live concert at Ebisu liquidroom, and on December 23rd, held her first overseas concert in Taiwan (Taipei City). In May 2008, released the 11th single “sad rain”. In September, released her 3rd album “here I am”. On July 19th, held her 2nd overseas concert at “Anime Friends 2008” in Brazil. On August 31st, starred in Animelo Summer Live 2008. Since 2009, she has been holding live shows in various countries including Taiwan, China, The US, Mexico, Brazil, Peru, Argentina, and more.